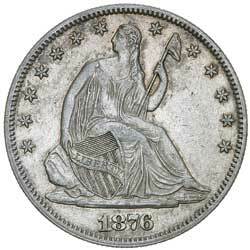 USA, PROOF LIBERTY SEATED HALF DOLLAR, 1880. Brilliant, FDC, and rare thus. 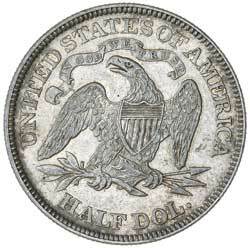 USA, PROOF LIBERTY SEATED HALF DOLLAR, 1880. Choice, attractively toned proof, nearly FDC.